So, if you haven’t heard, Nordstrom and Halogen (Nordstrom’s house brand) tapped Atlantic Pacific to rock out for their newest influencer collaboration. As fans of her style and of Nordies, we stayed tuned into her Instagram profile, when she highlighted that plus sizes would be available in this collaboration. With the inclusion of inbetweenie blogger, 12ish Style, we just KNEW the full Halogen x Atlantic Pacific collection would be available to us! Why would we think differently? BUT. When the collaboration dropped yesterday, to our stylish little hearts, we were instantly disappointed and frustrated. I was literally receiving calls, texts and emails about this frustration. Rightfully so! 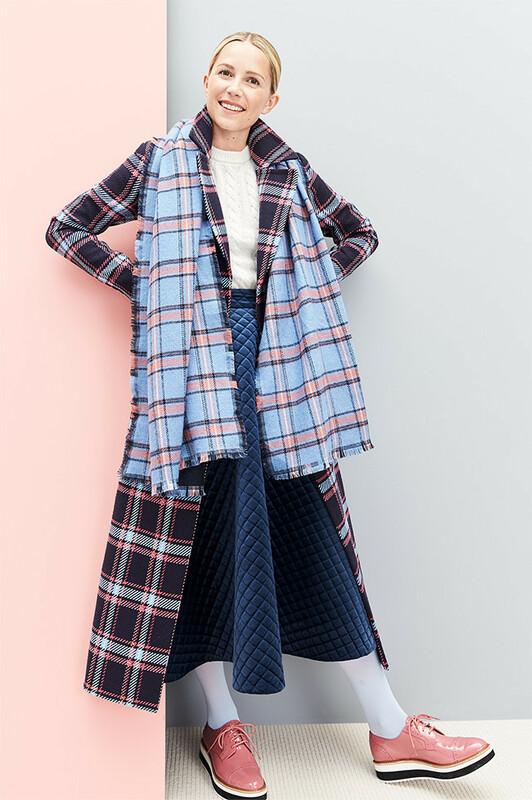 This Full Midi Skirt or plaid midi jacket? Nope. This vibe? The Tiered Tulle Midi Skirt? Nope. The Lavender Ponte midi dress or Suit? Nope. It turns out, that of the 46-piece collection labelled Halogen x Atlantic Pacific, only 15 pieces of the range are made in plus sizes. That number increases up to 24 pieces when you tap the “extended sizes” tab. And the pieces they made in plus sizes? Staples. Classics. Very few of the pieces that highlight or capture the oomph that highlights Blair Eadie’s style and panache. This misstep is so confusing. We are soooooooo happy for the Blair Eadie’s Halogen collaboration with Nordstrom. It would have been so awesome to support another influencer as they build their empire, but as Blair had mentioned on Instagram, Halogen cut production of their plus size business, for this launch. So, which is it Nordstrom? Are you inclusive or nah? Are there so many moving departments that the Halogen team missed the memo on the inclusive steps, especially on such a huge launch? The Something Navy collaboration did not entertain plus sizes- we peeped that. But this feels even more disappointing as there was so much affirmation of plus sizes being included. When we hear, see, or are told inclusion- we mean it. NOT a cherry picked or watered-down option. Accessories are nice, but when it comes to the clothes that we can up on and channel Blair’s chic essence? BUT, for those of you reading and you got this far? If you want to shop the collection and what is available in plus sizes…. Did you shop the collection? Did you find pieces that spoke to your heart, but were not available in plus?